World’s favorite PC Optimization Softwares! 4 Products in 1! 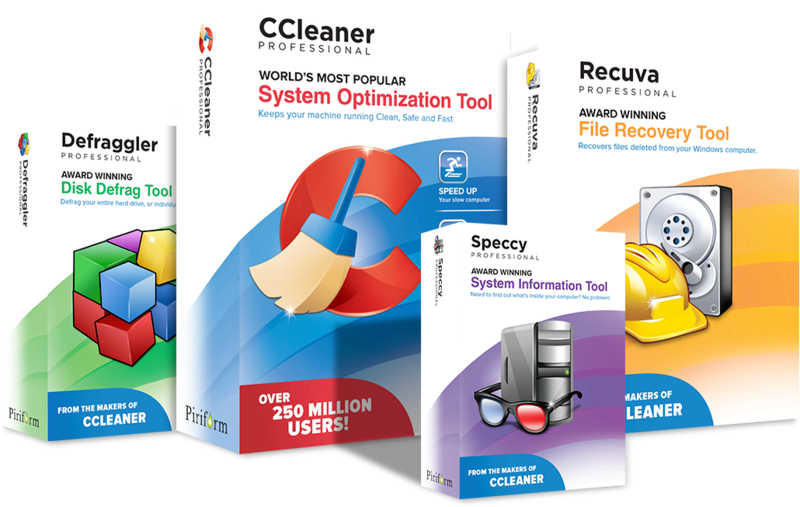 Professional versions of CCleaner, Defraggler, Recuva and Speccy. Full feature set, software updates and priority support. Instant online delivery! 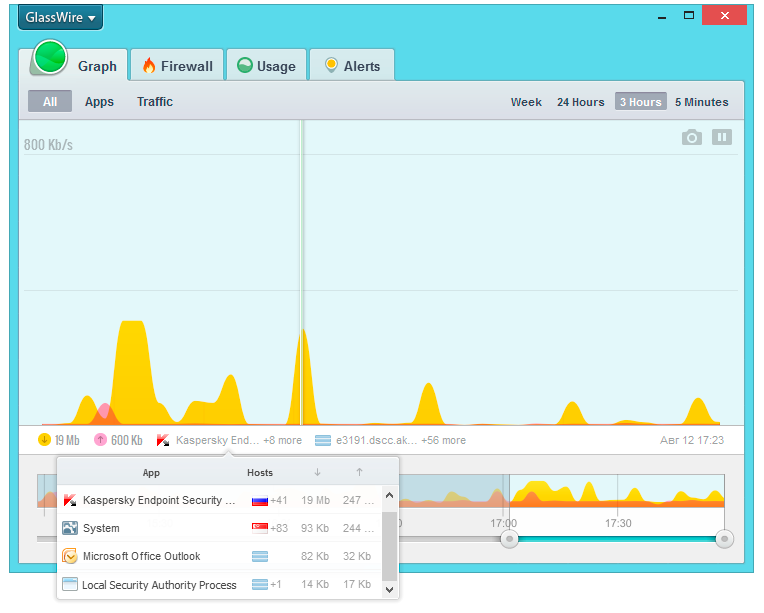 Use GlassWire’s simple to use interface to view all your past and present network activity on a graph. Click the graph to see what applications initiated the incoming or outgoing bandwidth and instantly see what hosts the applications were communicating with. Hosts are automatically resolved and also include their country of origin. Click the Apps and Traffic options to break down network activity by applications and traffic types. Some guy in his Mom’s basement wants to see you in your underwear. Do you want to be alerted when your webcam or mic is activated along with what network-related application is doing the activating? We do. 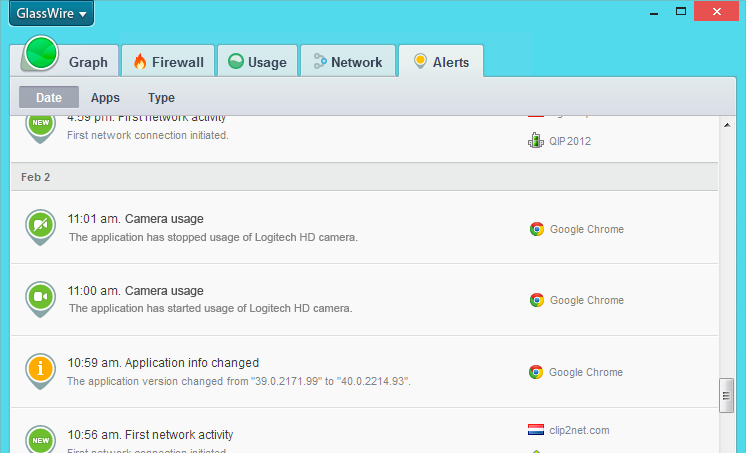 GlassWire shows all your network activity on an easy to use graph to help protect your Internet privacy. Easily see what apps are sending out data to the Internet and what host in what country they are communicating with. When you visit a website click the graph to see every server that your computer communicated with while that web page loaded. Visit a popular website with GlassWire running and you’ll be shocked to see how many different hosts are communicating with your computer for just one site. Every time a new application accesses the Internet GlassWire will alert you. You can then use GlassWire’s firewall to block the application. 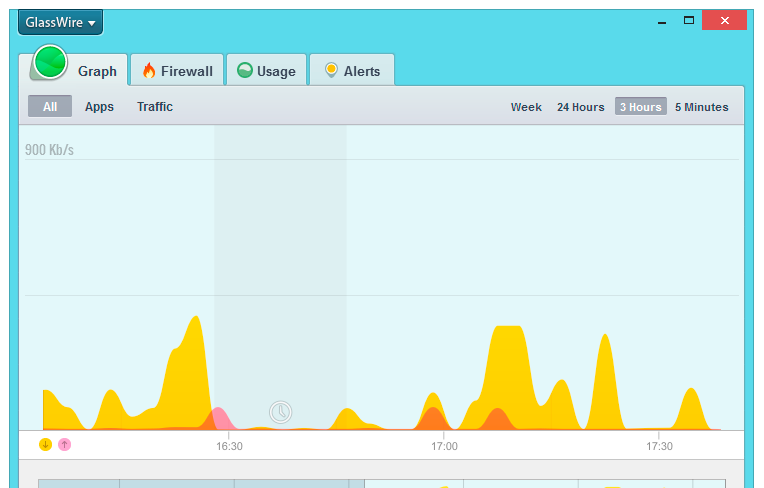 GlassWire’s graph also shows when your computer is in use or idle. Keep track of major network activity when you were away from your computer and try to find out if that means something is wrong or if it’s normal behavior. Is your network feeling slow? Maybe your neighbor is logged on to your WiFi and watching Netflix. See a list of devices on the network and get alerted when devices join or leave with our new network device list feature.